Originally published under the title "Al Azhar Cannot Denounce ISIS of Being Un-Islamic—Even If ISIS Commits 'Every Atrocity.'" 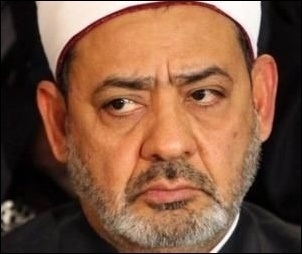 During an open discussion at Cairo University held on December 2, Dr. Ahmed al-Tayeb, the Sheikh and Grand Imam of Al Azhar — and thus Egypt's foremost authority on all things Islamic — was again asked why Al Azhar refuses to issue a formal statement denouncing the Islamic State of lapsing into a state of kufr, that is, of becoming un-Islamic, "infidel." In response, Tayeb said that the only way Al Azhar could do this is if a Muslim formally rejected the fundamental principles of Islam, such as the shahada—that there is no god but Allah and Muhammad is his messenger—and Islamic scriptures. He then rhetorically asked what would be the situation (according to Sharia) of a Muslim who accepts the fundamentals of Islam but who also commits great sins, such as drinking alcohol: would they be denounced as "infidels"? Sheikh Al Azhar responded by saying that it depends on the various views of the Sunni schools of Islamic jurisprudence (primarily the four madhahib). Some say that such a Muslim (who drinks or commits other sins) becomes an infidel while others are unsure and leave his fate to Allah. Al Azhar is quick to denounce secular Muslims who critique Islamic heritage as "infidels" and "blasphemers." Tayeb then quoted Koran 5:33: "Indeed, the penalty for those who wage war against Allah and His Messenger and strive upon earth [to cause] corruption is none but that they be killed or crucified or that their hands and feet be cut off from opposite sides or that they be exiled from the land. That is for them a disgrace in this world; and for them in the Hereafter is a great punishment." However, Tayib concluded by saying, "Al Azhar cannot accuse any [Muslim] of being a kafir [infidel], as long as he believes in Allah and the Last Day—even if he commits every atrocity," adding: "I cannot denounce ISIS as un-Islamic, but I can say that they cause corruption on earth. ISIS believes that those [Muslims] who commit the great sins are kafirs and can be killed. Thus if I denounce them of being un-Islamic, I fall into the same [trap] I am now condemning." As critics point out, however, Al Azhar is often quick to denounce as "infidels"—or at least "blasphemers"—those secular Muslims who merely critique portions of the Islamic heritage. Yet here is the Islamic world's most prestigious university refusing to denounce ISIS as un-Islamic–even as most Western politicians, at their head U.S. President Obama, insist that ISIS "is not Islamic." In short, Tayeb's comments further bolster the argument in Egypt that Al Azhar sees "liberal" Muslims as more dangerous and un-Islamic than ISIS — which should not be surprising considering that many former students have denounced the Muslim world's most renowned university for teaching and legitimizing all the atrocities that ISIS commits.